Reinforced with steel rods between the panels, our polycarbonate shutters are made tremendously strong with high resilience to forced entry. 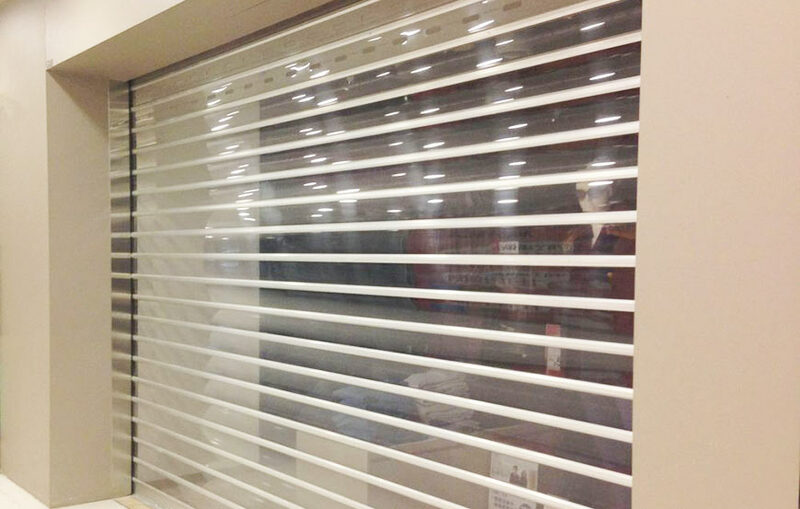 London Shop Fronts can provide these shutters for individuals that are looking for high visibility within their shops but with exceptional strength. Ideally made for jewellery shops or premises that hold high value products. Generally used for commercial purposes, these shutters allow the owner to secure their property while allowing merchandise to be displayed. Mainly operated by an electric motor, the ease and convenience of these shutters can allow the owner a simple piece of mind. We never compromise with the quality of our products because we know how crucial it is for you to have both elegance and safety at your shop’s entrance. We stand out among our peers as we employ better strategies and better approaches to achieve our goal. That’s why we can guarantee to beat any quote. Our polycarbonate shop front shutters are constructed with the toughest materials that bare and intermediate aluminium sections. This allows for a strong gateway to deter intruders and provide visibility of approximately 75%. Idea for public areas where footfall is high and security is of great importance. Constructed with different thickness of polycarbonate (usually 5-6mm thick), they provide great resistance against sever weather and protection against UV. Easy to clean and maintain, these shutters are known for their strong fire resisting properties, being almost inflammable and self-extinguishing. We can provide these shutters in many different styles, ether opaque or clear with a variety of different colour for the aluminium to suit your branding needs. Operated electrically with either a switch or a remote, they are powered with high performance 240V single-phase motors. Our research over the years has allowed us to test these shutters against the strongest of tools that burglars use, they can be used ingeniously by its electronic locking system to any unsuspecting thieves. © 2017 London Shop Fronts - All Rights Reserved.